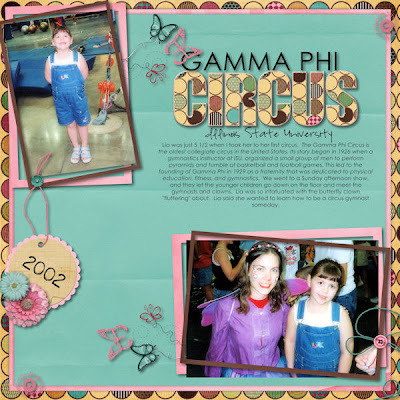 I love a good girly scrapbook kit, and this one my friends is a darn good one. 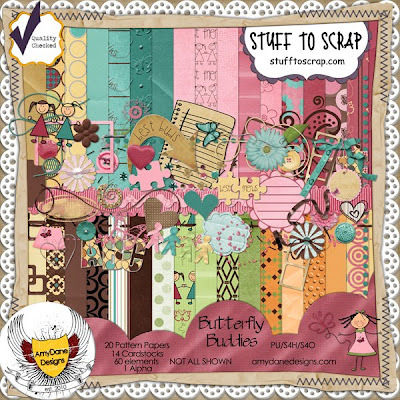 AmyDane Designs is releasing Butterfly Buddies, available at Stuff to Scrap and now at the newly opened Scraps N' Pieces store. This kit is for all the women in your life - friends, moms, sisters, aunts, cousins..."the colors allow you to create both soft and rugged layouts with just a touch of brown and a whole lot of pink! There are 14 cardstocks, 20 pattern papers, 60 elements and 1 Alphabet." And it's currently on sale - 35% off at STS. Products image is linked to STS Store. 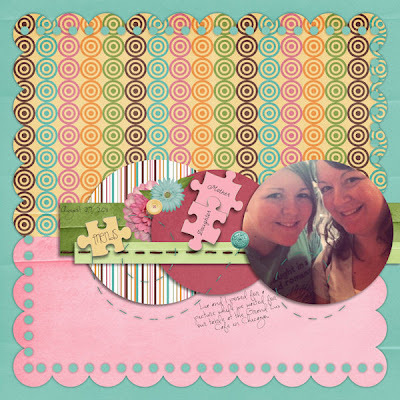 Layouts are linked to Scraps N' Pieces gallery.